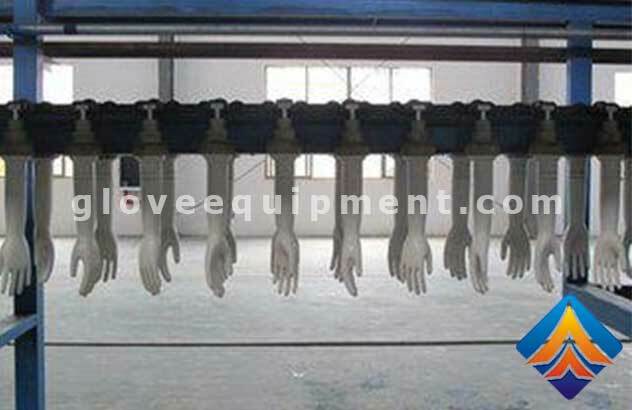 This Household Gloves making machine production line is applying the method of continuous production and direct-dipping method. The quality of the product is evenly and colour of it is splendid. Different sorts of products can be make at the same line simultaneously. Length of the line can be 60, 80, 100 meter. The Household Gloves machine Production Line is highly automatic and the capacity is also high. There is an option for customer for automatic stripping. The length of the line is also adjustable according to the customer conditions. 1.Household Gloves machine is well designed. It can be modified reasonable according to the shaping processes of different material( latex, nitrile, PVC,PC). Automatic refill system makes the quality stable and even-distribution. Also the advantages including: heat receiving is even, production rate is high, easy-stripping. 2.Heat recycling is the principle of the oven let the temperature inside the oven even. The insulation is well by good heat insulation material. In order to raise the heat efficiency, the auto-temperature control system alone with the control switch can guarantee the good product rate. 3.Special flexible piston-style connect device makes the soild connection and easy-changing of the hand mould.